With the end of the year comes a new round of holidays, Christmas and Hanukkah being a couple among many. Winter holidays promote generosity, compassion, and the constant giving to our fellow community members. 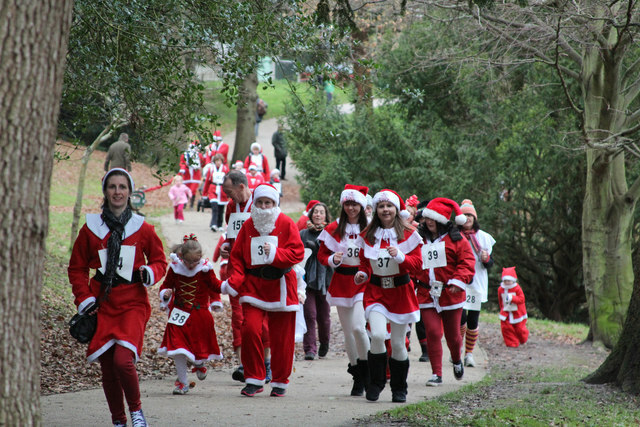 It is also one of the prime times of the year for fundraising as well. Booostr.co has compiled a list of booster club winter holiday fundraiser ideas that can be used across religions and beliefs to help fund and support your academic school program. It wouldn’t be the Christmas season without the jolly man himself – Santa Claus. Just take a look at all the mall Santas that pop up, wearing a bright red suit and ready to hear all the items kids have on their Christmas lists. 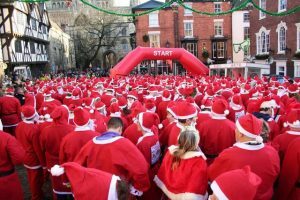 In a fun twist on Santa, and a great booster club winter holiday fundraiser – encourage people to sign up for a Santa Fun Run where runners dress up as Santa, Mrs. Claus, Reindeer or Elves as they run. People love the holiday season and dressing up and supporting great local causes! The combination of running in a fun costume, a lighthearted wintery event and the comradery of supporting your booster club with your community is a perfect fit! Plus who doesn’t like running outside in one of the coldest months of the year? Worst case scenario, move the fun run to an indoor location like the school Gym or a local event center if the weather may be dangerously cold. To raise money with this booster club winter holiday fundraiser idea, charge individual runners and groups of runners a fee to participate. Encourage the runners to solicit donations in support of their run. If you want, perhaps wave the runner entrance fee if they raise over a certain dollar amount in donations. Just like what was suggested for Booostr Halloween themed fundraising ideas, setting up a booster club Christmas themed movie night can easily be a huge hit for any booster club looking to raise program funds. So many Christmas/winter themed movies are family friendly and can meet the needs of anyone as there are hundreds, if not thousands to choose from. A movie night is a simple yet productive booster club fundraising idea. Set up a makeshift theater in your school’s gym, cafeteria, or auditorium, or work with a local movie theater – whatever works best for you. Charge a few dollars for entry and a couple more for popcorn and drinks, and before long, you’ve begun making a great contribution to your academic program. Add some extra pizzazz by adding movie themed decorations and maybe a DJ to help get the crowd in the mood before and after the movie. 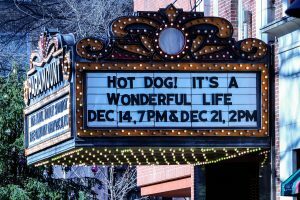 Some ideas for Christmas cult classic movies include National Lampoon’s Christmas Vacation, A Christmas Story, Elf, and Home Alone, but there are plenty of non-Christmas movies that are sure to please. Movies like Happy Feet and Frozen are a great choice to keep the winter theme going. As long as the movie has something to do with the winter season or end of the year holidays, you’re all set to go! With so many options, a movie night can be done several times throughout the season. 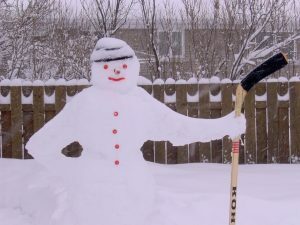 If you live in an area with guaranteed snow, building snowmen and snow forts are practically a right of passage in the winter season. This is an activity that families of all sorts will more than likely do on their own anyway. Let their creativity work for your booster club with this snowman/snow fort building contest booster club winter holiday fundraiser idea. Figure out a place to host the event, a field, park, or something of that sort that can hold many families and has a lot of snow. Ask supporters to register for the competition, for a fee, and let guests vote for their favorite snowy creation. Set up concessions stands that sell warm, winter themed foods and drinks that can be bought throughout the event. The creation with the most votes wins a prize predetermined by your booster club. What if you don’t live someplace cold? Don’t let that stop you! Try a winter-themed sand castle contest instead at a local beach. Shells can work just as well as coal for Frosty’s eyes and buttons. Both kids and parents love to create holiday-themed items with their hands. It has a bit more love and thoughtfulness in them than store bought decorations. Help people spark their own creativity and host a winter craft workshop to raise money for your booster club. Host a class in your cafeteria or gym and charge an entry fee to cover supplies (or have the supplies donated) and collect donations. 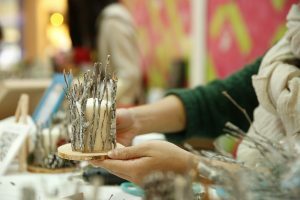 Whether you sew Christmas tree skirts, arrange wreaths, or bake cookies, a craft event is bound to attract families looking for an afternoon of fun art and crafts. Other kid-friendly ideas include wrapping gifts and making cards. A holiday soiree sounds really fancy, but it’s really just a good old fashion party that helps to bring people together. This is a great booster club winter holiday fundraiser if you’re looking for something sophisticated and with a high chance of raising a lot of money for your organization. Host a dinner party and invite all your closest supporters, including your board, volunteers, donors, local businesses, etc. 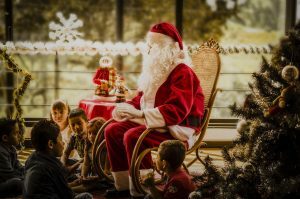 Attending a dinner is to be expected during the holiday season and some may prefer this type of atmosphere to something more created for children. Work with a local restaurant or gallery to secure space, food, and entertainment. Ideally, it’s best to charge per person/plate to keep costs on your end manageable. Consider also hosting a silent auction to maximize your fundraising take at the event. Work with local businesses to donate auction items and let the community bid on the different items to support your booster club as well as check a few gifts off of their holiday lists! Last, let your soiree be an opportunity to say thank you to all those who have aided in making your booster club program flourish. This will incline them to continue their aid. End of the year holidays can be a really busy time for so many people, and this gathering can be the perfect booster club fundraiser to give people the change to relax and unwind while helping to support an important program. An entertaining booster club winter holiday fundraiser idea will help generate more donations for your cause, especially during November and December. If you want to make the most out of your fundraising this holiday season, try a combination of two or more of the ideas presented above and tailor them to your communities specific needs.